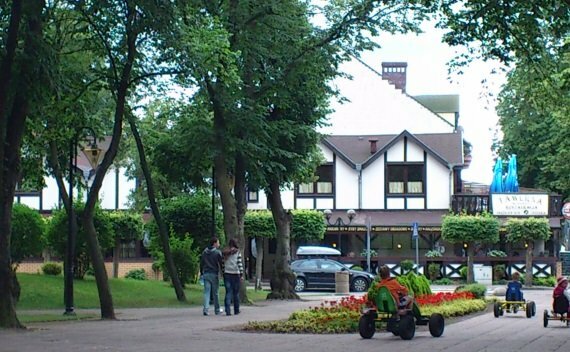 We are pleased to invite you to the "Tawerna pod Wodnikiem" tavern in Niechorze – an all-year, stylish facility located 30m from the beach, next to the park, near to the entrance to the pier. The facility consists of a restaurant part and a hotel. One the first floor one can find spacious and comfortable rooms with private bathrooms and TVs. There are only a few of them, which ensures a comfortable stay in a cozy atmosphere. On the ground floor there is an atmospheric restaurant with nautical decor and a touch of rustic style, where you can enjoy fine cuisine, famous for its local specialties and a hint of Italian flavor. We recommend fish straight from the boat, oven-baked pizzas and gourmet dishes, among others: The Tsar Fish, The Feast of Neptune, Tenderloin fried on a stone and a wide range of wines. We organize special events, festivals, New Year's Eve’s, weekend family stays and karaoke nights.